Situated in Ascot, this hotel is 1.6 mi (2.6 km) from Ascot Racecourse and 2.2 mi (3.6 km) from Lapland UK. Lavender Park is 2.1 mi (3.4 km) away. Where to find Ascot hotels near an airport? How can I find hotels in different Ascot neighborhoods? Where can I find hotels in Ascot that are near tourist attractions? 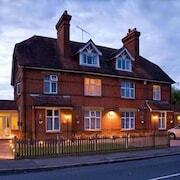 There are many lodgings to choose from for visitors chasing either a cheap or luxurious room in Ascot. You'll find 38 places to stay within a 0.1-kilometre (0.06-mile) radius of downtown Ascot on Expedia's comprehensive accommodation database. 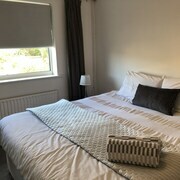 If you are planning to book accommodation that is within a short stroll from the center of Ascot, Macdonald Berystede Hotel and Lyndricks House will be perfect. The Highclere Hotel is an economical hotel. 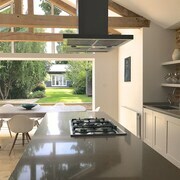 You'll find it conveniently positioned 0.8 kilometres (0.5 miles) from the heart of Ascot. If you are after another budget option, you may like to check out the Sunningdale Park. 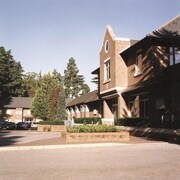 The Cliveden is positioned 17 kilometres (10 miles) from the central part of Ascot. 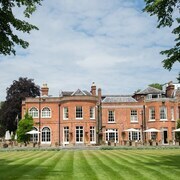 Alternatively, the Four Seasons Hotel Hampshire is located 25 kilometres (14 miles) away. 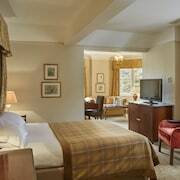 The Pennyhill Park Hotel And Spa and also the Red Lion Hotel are other alternative accommodation options worth checking out around Ascot. Looking for more things to do? Why not spend a few hours exploring South Hill Park and Berkshire Golf Club, which you'll find in Bracknell, 6 kilometres (4 miles) to the west of Ascot. 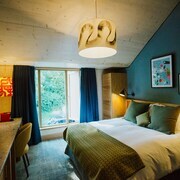 If you'd like to spend a few nights in Bracknell, check out the The Coppid Beech Hotel and Grange Bracknell. 9 kilometres (6 miles) to the northeast of Ascot, is Windsor, home to the Macdonald Windsor Hotel and The Christopher Hotel. The Windsor Castle and Frogmore House are popular places to experience for those visiting Windsor. Get your sports fix by taking a journey to Olympic Stadium, which is 45 kilometres (29 miles) to the east of Ascot. Book accommodation right near the action at the Canary Riverside Plaza Hotel or the Morgan Lodge Serviced Apartments. For those travelers planning on arriving or departing via Heathrow Airport, you may choose to book a room at Sofitel London Heathrow, or London Heathrow Marriott Hotel, both of which are nearby. What are the most popular Ascot hotels? Are there hotels in other cities near Ascot? What other types of accommodations are available in Ascot? Explore Ascot with Expedia.ca’s Travel Guides to find the best flights, cars, holiday packages and more!